Exhale is an organization with leaders at every level, and we have a commitment to supporting experienced leaders while developing new ones. Our leaders’ unique talents and strengths are leveraged to meet organizational goals and needs. A community-led nonprofit, Exhale’s volunteers, staff, and board members work in partnership with the broader Pro-Voice Movement to implement fresh ideas that improve our programs; adapt technology to meet the changing needs of our communities; and take important risks to deepen the impact of the Pro-Voice Movement. Rev. Susan Chorley (B.A. Wake Forest University 1994, M.Div/M.A. in Feminist Theology American Baptist Seminary of the West/Graduate Theological Union, 2002) is an ordained American Baptist minister who has served congregations in NC, WA, CA and MA. Susan joins Exhale after serving as the Associate Director and Minister of Programs at the Unitarian Universalist Urban Ministry in Roxbury, MA where she oversaw programming focused on domestic violence and out-of-school enrichment for high school students. Rev. Chorley has a deep history with Exhale, as a co-founder and long-time board member. Susan is also a co-founder of the Massachusetts Restorative Justice Collaborative and founder of “Partners in Faith” a roundtable for individuals, organizations and congregations who are engaged in faith based organizing around intimate partner violence. In her 17 years of involvement with Exhale, Susan has held deep relationships with staff, volunteers, and others in the Exhale community, serving as an advisor and thought leader. Susan is also a public storyteller, having first shared her personal abortion experience in a 2016 Parent’s Magazine article featuring the stories of mothers who have had abortions. This publicity led to the launch of Exhale’s Pro-Voice Sermon Tour, during which Susan shared her story as a means to create space for bringing abortion into church communities. Building on the success of the tour, The Daily Beast published her op-ed in October 2016. Susan was named a “2017 Faith Leader to Watch” by the Center for American Progress, receiving praise for her boldness in preaching about her abortion to congregations around the country, and was featured in a recent CNN.com piece about Exhale’s groundbreaking pro-voice work. Susan speaks, consults, leads workshops and writes frequently on topics including faith, domestic violence, restorative justice and being an effective ally/accomplice to communities targeted by racism as well as LGBQ/T communities. Susan and her 15 year old son live in Boston, MA. Exhale’s Board Members are leaders whose volunteer service to Exhale is critical to engaging more people and communities in the Pro-Voice Movement. Board members are role models for pro-voice values and practices in every facet of their personal and professional lives; and as organizational culture carriers, they put our strength-based approach to decision-making into regular practice. Strategic, experienced, and always learning and adapting through experience, Exhale Board Members spread the pro-voice message through their networks and communities as ambassadors, fundraisers, and leaders. Sarah White has been a San Francisco resident for 10 years and calls the Castro her home after relocating from New York. She is a software sales and customer success professional in the Bay Area where she manages and grows a portfolio of accounts as a trusted solutions advisor for businesses. A proud Smithie, Sarah has long been inspired by the strength of women and what they can accomplish in the face of adversity. After a curatorial internship at the Museum of Modern Art in NYC, Sarah’s interests in women’s studies and creativity led her to her graduate work at California College of the Arts in Visual and Critical Studies. She is active in community service in San Francisco, helping to support the survivors of domestic violence at La Casa de las Madres. 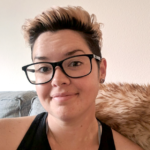 Sarah also facilitates support groups for women and the LGBTQA community in San Francisco that struggle with alcohol and substance abuse issues. Sarah started at Exhale as a talk-line counselor in 2014 and is thrilled to continue her service on the Board of Directors. She is passionate about Exhale’s pro-voice model for social change and believes that in all spheres of her live stepping back and creating space for someone else is where the transformation starts. Sarah’s other interests include the ocean, her two orange tabbies, hiking, creative writing, traveling and trying not to kill the plants in her apartment. Natalia Koss Vallejo was born and raised in Milwaukee, WI. Her mother, a Colombian immigrant and mental health professional, and her father, an electrician member of IBEW Local 494 and long-time activist, instilled progressive values in her from a very young age. 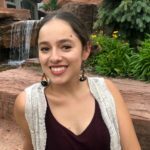 After her own unplanned pregnancy and abortion at age 17, Natalia spent the next 13 years of her career devoted to reproductive justice and advocacy, working with organizations like Exhale, Planned Parenthood, and NARAL. Through her work with Exhale, Natalia was trained as a story sharer and public speaker, and has since shared her abortion story with many media outlets including MTV, Cosmopolitan Magazine, Al Jazeera, and the Huffington Post. In addition to her abortion story sharing work, she has also worked as a consultant and field organizer for several grassroots campaigns in WI, and after graduating from Public Allies (an Americorps program) worked in several community based nonprofits. She earned her degree from University of Wisconsin with a dual major in Latin American Studies and Women’s Studies, with minor certificates in LGBTQA and Caribbeans/U.S. Latino studies. Natalia moved to Seattle, WA in 2016 after falling in love with the Pacific Northwest’s gloomy weather. She loves gardening, cooking, and playing pool and when she’s not fighting for progressive policy, she’s obsessively watching Game of Thrones or Star Trek: The Next Generation. After spending her first year and a half working as the Statewide Field Organizer for NARAL Pro-Choice Washington, she accepted a new position as Executive Director for the King County Democrats in August of 2017. She now lives with her partner, Daniel, and their cat, Newton, in Seattle’s Madrona neighborhood. Genevieve Brennan is a digital publishing professional, working with media and technology partners at Google. She focuses on enabling news and magazine publishers grow their audience and innovate for our digital, mobile world. Whether it’s a breaking news article, a live video, or a nice long novel, she wants to know about it, and she wants you to have access to it too. A graduate of Wellesley College, Genevieve is a strong supporter of women’s rights around the world, and believes that storytelling is one of the most important ways of understanding ourselves and one another. Julia Keiko Pinces is a passionate mental health advocate and nonprofit professional. Her multiracial heritage has instilled a love for working with people of various perspectives, upbringings, and cultural backgrounds for as long as she can remember. 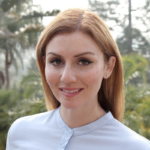 For over a decade, Julia has partnered with nonprofit organizations in East Africa and Asia to advance human rights efforts, starting as a volunteer in 2004 and then later as an International Program Officer designing programs and collaborating with local leaders. Julia has led several workshops on topics such as Social Identity, Cross-Cultural Communication, and Asset-Based Community Development. 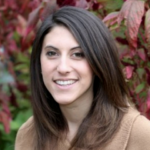 In her past, Julia also worked in direct-marketing consulting for international and environmental nonprofits. Julia is excited to bridge her background working internationally with causes in her own community. Currently, Julia is pursuing a masters degree in Marriage and Family Therapy while also working with leaders in the progressive movement through the Social Transformation Project. Julia is very passionate about Exhale’s pro-voice movement and abortion support and she serves as a peer-counselor and coordinator for Exhale’s talkline. Julia is a California native, and while her original stomping grounds are in Southern California, she has truly loved living in San Francisco for most of her professional career. On her free time, you can usually find her swinging a tennis racket at the local tennis courts. Sofi Hersher is the assistant communications director at the Religious Action Center of Reform Judaism, the social justice hub of the largest denomination of Judaism in North America. Sofi holds a Bachelors Degree in Comparative Religion from the University of Washington, Seattle as well as a Masters Degree in Religion in the Contemporary World from King’s College London. While in London, her research focused on the intersection of religion and the internet–specifically interfaith dialogue on social media platforms like Twitter. Sofi previously served as Global Brand Manager at Twitter, Inc. and in various leadership and fellowship capacities for the Inter Faith Network for the UK, the Baptist Joint Committee for Religious Liberty, the Newseum Institute’s Religious Freedom Center, and with several interfaith groups in the Washington, DC area. Jenna Sprague has a bachelors degree in business management. She previously worked in higher education helping veterans set up their GI Bill education benefits. Jenna was introduced to Exhale through a coworker and the idea of becoming a Provoice advocate resonated with her. Upon moving to the Bay Area, Jenna applied and was accepted into the 2016 summer counselor cohort. She has continued to take calls on Exhale’s talkline since then and firmly believes that the Provoice Movement will help break down barriers around the subject of abortion and beyond. She credits the skills she has learned on the talkline and the countless stories from callers to her willingness to talk about difficult subjects and the messy feelings that come with them. Jenna recently moved to Colorado where she now has plenty of time to enjoy backpacking through the Rockies. 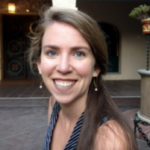 Jessica Rothery is a child caregiver and co-coordinator of Exhale’s post abortion talkline. A graduate of UC Berkeley, she worked in ecological research before choosing to transition to the field of pregnancy support. By volunteering as an ACCESS clinic companion, ZSF General Hospital late-termination doula, and Exhale talkline counselor she has provided physical, emotional, and logistical support to people experiencing abortion. She is grateful for the Women’s Option Center at ZSFGH and their commitment to provide skilled and compassionate counseling. In the past Jessica has hosted story sharing events with other Bay Area abortion doulas to facilitate education and communication within the community. Now based in San Diego, she is looking towards a Masters Degree in Social Work with hopes to begin a program in the coming year. She is excited to be a part of Exhale and continue to use story sharing and non-judgmental counseling as tools for change. Mara Kassoff, MBA, has 20 years of experience in the nonprofit sector, specializing in human-centered program design, operations, and financial management. 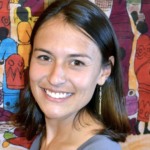 Mara began her career as an educator, with a focus on designing social justice programming to meet the needs of Bay Area vulnerable communities. Bringing a human-centered approach to the operations side of nonprofit organizations, Mara is uniquely positioned to provide nonprofits of all sizes with tools and coaching that create effective and efficient communications between the programming and operations sides of “the house.” She works with nonprofits to help them optimize their organizational infrastructures. She’s thrilled to be supporting Exhale’s financial management needs. Roxanna Curiel, M.Ed. Graduate Certificate in Gender Studies, A sister, daughter, tía, prima, comadre, student, educator, and advocate—her community guides her heartwork. She is inspired by the labor and visions that women of color and QTPOC (continue to) gift the world. She has served as the youth program coordinator at a sexual violence, domestic violence, and HIV prevention organization in Boyle Heights, CA, has conducted research on sexual and reproductive health access and education, and supports racial-economic-gender-sexual-reproductive-disability justice movements. She is a member of the Utah Reproductive Justice Community Advisory Board, co-founder of the Utah RJ Fund Project, and emerging funds cohort member with the National Network of Abortion Funds. She offers her language skills (Spanish, Portuguese, & Spanglish) to strengthen community building projects. She hopes to gain more skills to provide doula support for young people, immigrant communities, and folks who are incarcerated. She loves to eat chilaquiles, enjoys reading bilingual children’s books, and believes in the power of storytelling as an organizing tool in collaborative social justice efforts. Recently, her curiosity has weaved together conversations about collective healing and (re)defining love and intimacy. Rox resides in Salt Lake City, Utah and grew up in Cudahy, California. ¡En la lucha! Rox es una hermana, hija, tía, prima, comadre, estudiante, educadora y organizadora. El amor hacia su comunidad guía sus proyectos políticos y sociales. Ella está inspirada por las visiones de justicia social que las mujeres de color y la comunidad LGBTQ ofrecen para crear un mundo mejor. Se ha desempeñado como coordinadora de un programa de jóvenes en contra de la violencia sexual, violencia doméstica y educación sobre la prevención del VIH en Boyle Heights, CA. Ella ha realizado investigaciones sobre el acceso y la educación en salud sexual y reproductiva durante su programa de maestría en educación. Ella apoya los movimientos sociales que se enfocan en la justicia racial, económica, sexual, reproductiva y de la discapacidad. Es miembra de “Utah Reproductive Justice Community Advisory Board”, cofundadora del Proyecto Utah RJ Fund y también está involucrada con proyectos de la Red Nacional de Fondos de Aborto. Ella ofrece sus habilidades lingüísticas (habla español, ingles, portugués y spanglish ) para fortalecer los proyectos del desarrollo de la comunidad. Su interés incluye desarrollar más habilidades para brindar apoyo con servicios de doula para los jóvenes, comunidades inmigrantes y personas que están encarceladas. Le encanta comer chilaquiles, le gusta leer libros bilingües para niños y cree en el poder de la narración de historias como herramienta para organizar. Recientemente, su curiosidad se ha enfocado en un tejido de conversaciones sobre la sanación colectiva y el proceso de despatriarcalizar el amor y el compañerismo. Rox vive en Salt Lake City, Utah y creció en Cudahy, California.